What One Item Would You Want To Bring Along With You In Space? If we do someday all get the chance to head outwards deep into space, one thing is for sure: cargo space is going to be limited. So, if your space shuttle only had room for one extra item, what would you bring along with you? Assuming that the basics of food, water, and shelter were all provided for in the ship's supplies, we want to know one item you would choose to hold on to. Would you bring something to remind you of your old memories (like photos), something to document your new ones (like a camera), or maybe just some favorite comfort of home (like a coffee machine)? Tell us what you would choose — and why — in the comments now. 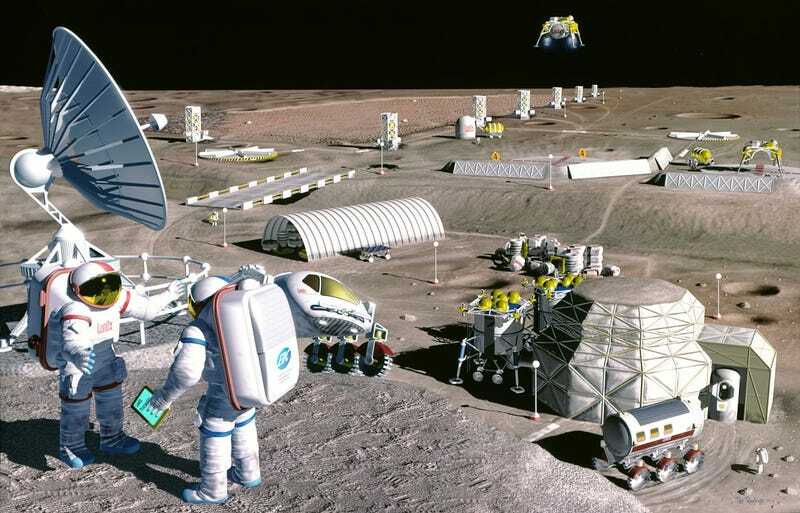 Image: Pat Rawlings / Artist's conception of a moon colony / NASA.